還有更刺激的！看官網介紹，Treetop Walk還包括兩個“觀景台”： Two observation decks have been constructed in a Strangler Fig above the walk way, the highest one being 30 metres (approx 110 feet) above the ground. Access to the decks is by a ladder that is protected by wire screens. 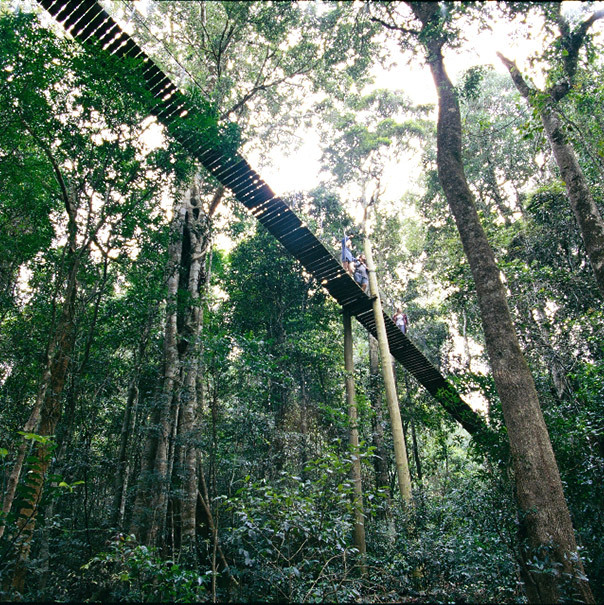 The decks allow a close look at the orchids and ferns growing on the tree, as well as the splendid view out over the rainforest canopy.